The rising of immuno-oncology in the past few years is a paradigm shift in cancer treatment. Immune checkpoint inhibitors recently won Nobel Prize in 2018, but more importantly, save thousands of cancer patients’ lives in clinics. PD-1, CAR-T, CAR-NK, neoantigen vaccine...Where are the opportunities behind these buzzwords? What’s the future of cancer immunotherapy? In the healthcare panel, we invite leaders from academia, pharma, biotech, and VC to share their expertise and insights on the cancer treatment of the future. Wei Zhao joined WuXi Healthcare Ventures (now 6 Dimensions Capital) in 2016. He was a Senior Life Sciences Specialist at L.E.K. Consulting Boston office, and a postdoctoral fellow at Mass. Eye and Ear Infirmary and Harvard Medical School. Wei obtained his Ph.D. in Neuroscience from Northwestern University, and B.S. from Tsinghua University. Dr. Cheung manages all immune-oncology functions for the development of the company's proprietary NK cell engagers, directing research into NK cell biology and mechanism of action. Ann studied the interface of between lung tumors and anti-cancer T cells, and initiated the group's forays into cancer immunology. 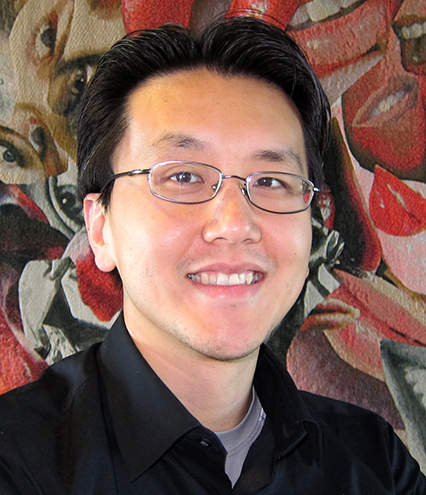 Dr. Cheung's postdoctoral work was at Caltech, and included a collaboration with Drs. Antoni Ribas and Nobel Laureate David Baltimore to assess T cell multi-functionality in a clinical trial using engineered T cells for immunotherapy in advanced melanoma patients. Dr. Demehri is a physician-scientist performing basic science and translational research in the area of cancer immunology related to melanoma and non-melanoma skin cancers. His research is focused on determining the role of the immune system in preventing the early stages of cancer development. Dr. Demehri’s clinical interests include cutaneous oncology with a focus on the detection and treatment of high-risk skin cancers, inflammatory skin diseases that predispose patients to skin cancer, skin cancer prevention and general dermatology. Dr. Gifford’s group at MIT Computer Science & Artificial Intelligence Lab develops new machine learning techniques and algorithms to model the transcriptional regulatory networks that control gene expression programs in living cells. His group has a very productive interdisciplinary collaboration with leading biologists that has allowed us to tackle extraordinarily difficult and interesting problems that underlie cellular function and development. Dr. Gifford earned his S.B. in 1976 from MIT and his M.S. and Ph.D. in electrical engineering from Stanford University in 1978 and 1981, respectively. Dr. Su is responsible for working with the local and global medical, development and regulatory teams to lead EMD Serono's medical strategy, clinical presence and scientific leadership in the U.S. Within EMD Serono, he most recently held the position of Global Head of Medical Affairs, Oncology, prior to which, he held leadership roles in general management, clinical development and medical affairs at Sanofi and GlaxoSmithKline. A physician executive with more than 20 years of experience, Zhen held roles at a number of academic institutions - including at Duke University and University of Florida, where he led early clinical development in Immuno-Oncology as a faculty member - before joining the biopharmaceutical industry. Dr. Wong is an Assistant Professor for Biomedical Engineering at Boston University. His research interests are in applying metabolic engineering and immune cell engineering to rapidly and predictably engineer desired properties in human immune cells to treat diseases. He received the ACS Synthetic Biology Young Innovator Award in 2018, the National Science Foundation (NSF) CAREER Award in 2016, and the National Institutes of Health (NIH) Director’s New Innovator Award in 2013. He obtained his PhD in chemical engineering from the University of California, Los Angeles and his Bachelor's in chemical engineering from the University of California, Berkeley.